Load management has become one of the most crucial parts of every industry, especially farming and agriculture. Every farmer aims at adopting up-to-date, durable and accurate truck scales that are designed to not only enhance efficiency but also improve the throughput and accuracy of crop load management in the long run. If your farming operation has the intention to invest in high-tech truck scales, it is vital to consider weighing systems that have been tested and proven to yield accurate and dependable weighing solutions. Furthermore, always go for a truck scale that is accurately calibrated to weigh truckloads for a broad spectrum of applications including mining, construction, industrial, and the agricultural industry, just to mention but a few. Hence, this write-up is aimed at giving you the top three truck scales designed to offer efficient weighing solutions. Wheel Weighers, also referred to as weigh pads are characteristically light-weight, portable scales that are designed to weigh individual axles and wheels with the aim of ensuring that you comply with the legal weight limits. Wheel weighers have abundant features that are designed to enable for heavy-duty weighing even in severe conditions. They come in a portable design which incorporates integrated ramps as well as an aluminum construction that allows them to offer superior accuracy and efficiency. Furthermore, heavy-duty portable wheel weighers can adequately weigh oversized vehicles since they come with two weigh pads and a digital weighing terminal. Besides, most models provide connectivity for approximately six wheel weighers so as to allow single wheel weights as well as the combined weights of axle groups aimed at achieving one weighing transaction for improved weighing efficiency and accuracy. The onboard truck scales are popular scales that are known for their ability to utilize time by significantly reducing the number of stops that you are bound to encounter during the process of transportation. They are radiantly designed to ensure accuracy and efficiency in the course of weighing any load that you transport using your truck. 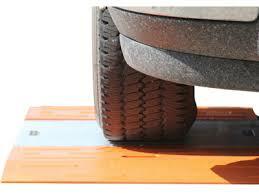 Therefore, onboard truck scales play a fundamental role in the reducing accidents that would occur due to overweight. Moreover, onboard truck scales come in a broad range of models designed to offer weighing solutions for a variety of needs, especially when you see some of the onboard truck scales from Walz Scale. For instance, you can get an onboard truck scale designed to provide weighing solutions to straight trucks, wheel loaders, and tractor trailers. Hence, you can make a choice depending on your needs. The weigh-in-motion axle scale is a heavy-duty truck scale that is popular for offering excellent weighing solutions. It comes with great features that are carefully designed to provide cost-effective and efficient techniques of measuring both vehicle and the gross weight without interfering with the traffic flow. Portable weigh-in-motion axle scales are advanced truck scales designed to offer in-motion weighing solutions aimed at commercial weight enforcement. These advanced axle scale systems can screen all vehicles that enter a weigh station while directing all overweight vehicles to a static scale. Moreover, they are equipped with a high-tech application referred to as WIM-page which is of great importance in the virtual weigh stations since it helps in identifying any overloaded vehicle and sends the image via a wireless means to an authority located at the scale site. 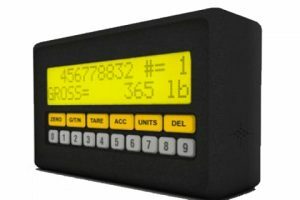 For more information about weigh-in-motion axle scales, onboard truck scales, and wheel weighers, visit WalzScale.com, a leading supplier of truck scales and weighing system in North America. The Batwing line of rotary cutters from Woods Equipment stands out as an elite pedigree with a broad spectrum of options which range from heavy duty mowers to smaller options that are designed for use with tractors that have a lower horsepower. 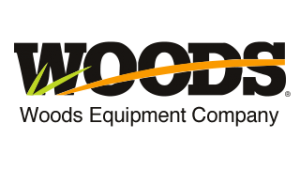 Woods has maintained a specialty niche in mowing equipment for the last 60 years. In this time, its products have improved gradually by absorbing new innovations geared towards efficacy in different mowing applications. Below is an overview of the three most popular Batwing rotary cutters from Woods Equipment. The BW15 Woods rotary cutter is designed to be used with utility tractors that have a lower horsepower ranging from 40-90Hp. It has a lightweight design for great workability with smaller, fuel-efficient tractors. Some of its defining features include a fully baffled deck, a defining wing design, spring suspension and top-of-the-line gearboxes which are backed by a six-year warranty. Other features of the Woods Batwing BW15LH rotary cutter worth mentioning include remarkably lighter tongue weight, a pivoting swivel tongue and easy tractor hookup enabled by the line’s well known CV drive. In addition, the model comes with a deep (10-inch) side frame and a deck which slopes enabling it to carry more cuttings. You spend less time emptying which implies increased more productivity. Its 24-inch replaceable side skids have a large surface that optimizes on durability. The Woods Batwing BW15LH rotary cutter is ideal for less demanding applications. Because it’s a popular mower from Woods, you can easily find Woods Batwing mower parts for the BW15LH online. 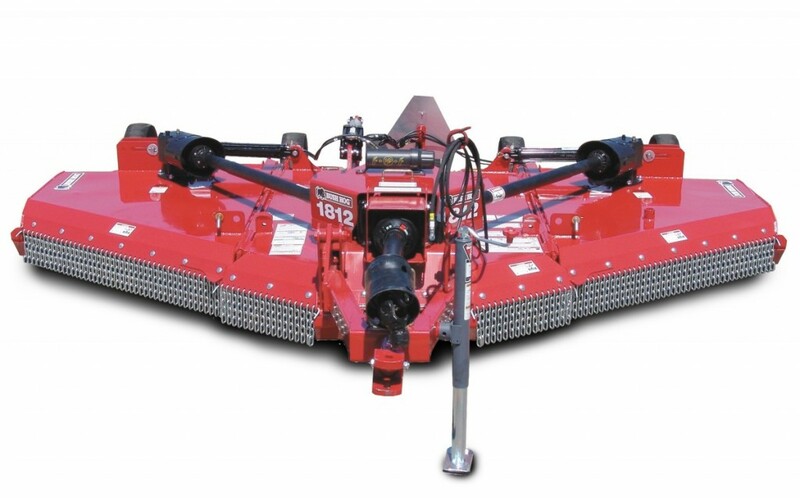 See more information about the Woods Batwing BW15LH rotary cutter by clicking here. One special thing about the Woods Batwing BW180XHD rotary cutter is that it has the deepest deck in the industry. Its thirteen-inch side frame makes it the most efficient globally if the amount of material a mower can carry were to be used as the only determining factor. Other features of the Woods Batwing BW180XHD rotary cutter include the capability to cut brushes which are up to 3.5 inches in diameter, an inclusion of swivel clevis hitch and the option of a shredding kit which will be necessary if you intend to shred crop residue. Other features like a fully-baffled deck, dual wheels, durable Batwing rotary cutter parts and components, and its deservedly hyped gearbox are commons across the line. You should, however, note that this model uses a Cat 6 CV Main driveline. The Woods Batwing BW180XHD rotary cutter can take on harsher jobs and will, therefore, be a great utility on tougher terrains and vegetation. 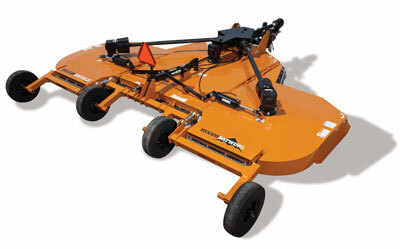 Learn more about the Woods Batwing BW180XHD rotary cutter by clicking here. The Woods Batwing BW240HD rotary cutter is intended for heavy-duty applications. It is suited for more powerful tractors with a horsepower in the range of 70-300 Hp. It has a 13.25-inch side frame which happens to be the deepest in the industry. 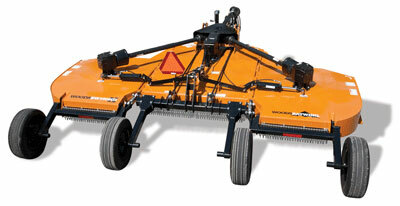 The Woods Batwing BW240HD rotary cutter can cut brush which is up to 3-inches in diameter. Its other particulars are common to all Batwing Rotary Cutters. However, you would like to note that due to its size, it uses six instead of four wheels to offer extra floatation. 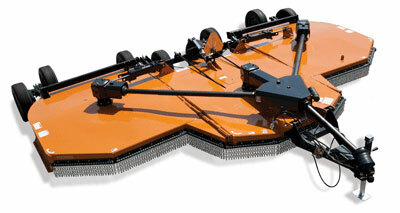 See more information about the Woods Batwing BW240HD rotary cutter by clicking here. Although there are several models in Woods Batwing series, shoppers should put it in mind that none is superior to another. Each one of them is designed to work best when used for certain applications. Before you purchase, compare models and match them to the applications you have in mind and the horsepower rating of your tractor. Clearing overgrown land, blazing new trails through woodlands, caring for overgrown fields and meadows, or expanding your lawn – all of these projects are daunting tasks without the right equipment and attachments. 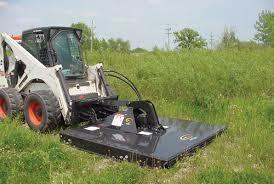 A brush mower is the best bet if you want to clear most large areas overgrown land. You can select a tow-behind (brush hog) for meadows and really large fields and a walk-behind or ‘self propelled’ model for walkable areas. These machines are the real beasts in the field. With FFC attachments being the best in this class, brush mowers are able to chop through saplings 3” thick without pausing at tough grasses and weeds. When you use a brush mower at the first time, you will be shocked with the power of this tool. You may want to remove a small section of brush or one sapling here and there. In such case, a whole brush mower is not needed for you. But, a chainsaw or lawnmower will not do the trick perfectly. So, you can use a Brush Grubber, which is a set of metal jaws with spikes. 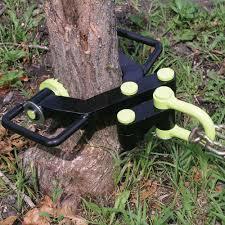 This tool can be used for digging into a small stump or tree. A chain will be attached to the other end. You can use your tractor, ATV or truck to pull out the unwanted tree by its roots. Brush Grubber is available in 4 different sizes. String Trimmers can either be a handheld type or walk-behind type. Whatever it may be, these are great for clearing thin grasses, weeds and cleaning up fence lines. If you want to do heavier duty brush clearing, you can turn your string trimmer into a more powerful machine. After removing larger trees to clear overgrown land, there can be some annoying or ugly stumps. Clearing your land perfectly is the biggest issue in such cases. Grind them away with a stump grinder is the easiest and quickest way to handle this problem. 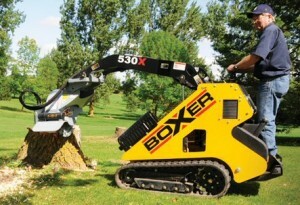 You can purchase a stump grinder or rent it for a weekend use. If you adopt chemical solution, it will take months or even years of dissolve the stump completely. There are some large expanses of small invasive trees such as bamboo, sagebrush, olive, buckthorn, and mesquite. Cutting them one by one with a chainsaw is the easiest way to remove them. This is helpful for driving into each tree. You can even clear acres of land in a single weekend. Land clearing has greater impacts on environment. It can be small or large scale clearing. When land clearing is extensive, its effects can be irreversible. The effects can be reversed if the clearing is minimal. However, land clearing is essential for urban and agricultural development. In the past, people believed that if the land was left idle, it was being wasted. So, they used the land for good use and for agricultural purposes. Scrub land can be cleared and turn it into fields for cultivation. This is also helpful for increasing the value of the land. This is also helpful for getting lots of economic gain for the community. So, land clearing is highly beneficial and progressive. But, you should use the right equipment for land clearing. You can find many of these attachements, and more, by visiting GermanBliss.com. For grain producers that need to frequently weigh the harvest loads of their grain, finding the right weighing solution can be tricky. On-board grain cart scales are great solution to this harvest weighing need. On-board grain cart scales are weighing systems that are integrated directly on grain carts, making it easy to determine the precise weight of grain loads during operation. If you’re a grain producer interested in on-board grain cart scales and related ag weighing systems, we encourage you check out the grain cart scales at AgWeigh.com, or learn more about these systems below. The general grain cart scale has an on-board weighing sensor and a weight indicator (an LED screen which displays the net weight grain load in the cart). With some grain cart scales, an alarm light will allow you to monitor the weights when loading or unloading the grain cart. 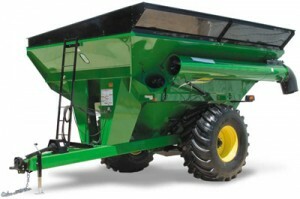 Grain cart scales can be installed on just about any type of cart without any hassles. Also, you will not have to make changes to grain carts because the on-board weighing system adapts to it. This is a very simple and intuitive device that is very easy to use. How Do Grain Cart Scales Work? The principle behind it is pretty simple. The grain cart scales have electronic pads which are made up of aluminum. When weights are placed on them, they display the measurements on LED screen. Sometimes, for greater accuracy, these weighing pads are coupled together, and feature an integrated motor. 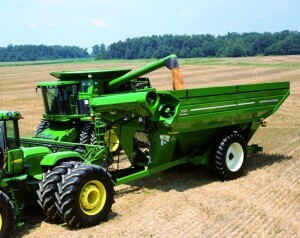 The grain cart scales different specifications and load cells. Almost all cells can still remain functional even when overloaded with extra weight. Current technology allows a particular scale to hold up to 2000 LBS. Some of the higher end models, employ motion sensors to measure the payload as and when the grain cart is in motion. This way the weighting process becomes faster and more efficient. These scales can also be paired up with computer software programs to help optimize operations. Although on board scales might seem unnecessary to some, the value for money and efficiency they offer on the long run is undeniable. What is more? These cart scales are very precise in their duty and are very easy to install. Designed for maximum durability during operation, grain cart scales can very well weather rough environmental conditions too. 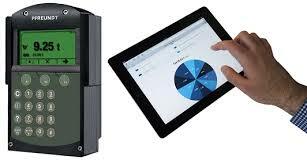 Some of them can work wirelessly and display their readings on a handheld monitor. 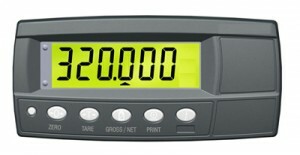 Each scale can display 2 types of data in real time i.e the gross weight and the axle weight. One can also view the measurements under different measurement units. The grain cart scales system is ideal for recording the weight immediately and eliminates the need for expensive anti theft solutions, as it lets you know the amount of grains procured from each cart right from the word go. Even a very basic grain cart scales system is very accurate with a margin of error of ± 1% of gross vehicle weight. The grain cart scales are installable on your existing grain carts, without you needing to make any modifications or new purchases. Servis Rhino AGM-series disc mowers are created to augur perfectly with a broad range of applications. They are machines to go for when dealing with high speed operations or when mowing rocky grounds. Thanks to the incredible manufacturing and design of Servis Rhino, disc mowers are offered with specialized cutter discs that feature contoured edging to ensure they resist any impact. In short, you can trust Rhino disc mowers to cut thin grass as well as handle heavy crops or shrubs without failing you. Not only do AGM disc mowers from Rhino fit a number of applications but they can comfortably handle any field size. They are created to make mowing a cinch and to ensure operators enjoy their work. For easy turning, these mowers can be lifted off the ground without the need to adjust their three point height. This also makes it easy to transport them from place to place. Whichever field, you will be mowing, you can be sure not to leave any streaking and to have uniformity thanks to the design of the outer swathboard. Its design ensures a clean cut to give you presentable results. Servis Rhino AGM disc mowers are offered with optional skid plates, cutting height conversion kits and three blade kits. To ensure they can handle any field size, the mowers come in mowing widths of 10.6 feet, 9.4 feet, 8 feet and 6.9 feet. When operating these machines in uneven terrain, Servis Rhino has got you covered. It is offered with a sealed oil cooled bearing at the rugged gear drive cutter block which ensures optimal performance. To up performance even further, these disc mowers feature an adjustable floatation system that ensures steady ground pressure is applied on the cutter block. This facilitates the mower to operate in a wide range of terrains. This is also keeps the strong and sturdy, minimizing the need for replacement Rhino disc mower parts. In short, if you want disc mowers that function smoothly, these are your best bet. Servis Rhino has released 4 models in the AGM series. These include AGM52, AGM62, AGM72 and AGM82. All these have different specifications but their features match. AGM82 has the highest mowing width at 10.8 feet and AGM52 the lowest at 6.9 feet. The variation in number of discs is still the same with AGM82 bearing 8 discs, AGM72 has 7 discs, AGM62 6 discs and AGM52 5 discs. All models have 2 blades in each disc and their driveline is Cat 4 size. AGM82 has a min horsepower of 55, followed by AGM72 with a min horsepower of 50, AGM62 with 45 and AGM52 with 40. All models have a max operating angle of 30 degrees down and a PTO speed of 540 RPM. AGM82 weighs approximately 1,430 pounds, AGM72 weighs approximately 1,232 pounds, AGM62 weighs 1,100 pounds and AGM82 weighs 904 pounds. There are many disc mowers on the market today and Servis Rhino disc mowers have claimed their share of the market thanks to their stellar designs and the smooth working of their machines. Their oval shaped cutter discs have stood the test of rough terrain. They are easy to fix, transport and operate. Put simply, Servis Rhino disc mowers are awesome in how they cut heavy crops with ease, in addition to prices and their design. With information about the leading suppliers of on-board truck scales and weighing systems, you can invest in a system with confidence knowing that it comes from a trusted name in the industry. There are many manufacturers and suppliers of on-board truck scales and weighing systems. Investors who have information about these suppliers can better understand the nature of each company’s products, solutions, and support. Here is a review of the top 3 leading suppliers of on-board truck scales and weighing systems currently leading the market. Walz Scale is one company that has been rated as among the top sellers of on-board truck scales and weighing systems for various types of equipment. When you choose Walz Scale, they will ensure optimal quality control that you need when investing in an on-board weighing system for your equipment. The company specializes in Pfreundt on-board systems for large, heavy-duty mining trucks, agricultural equipment, conveyors, and various other vehicles. And that’s just the tip of the iceberg. To learn more about Walz on-board truck scales and weighing systems, visit WalzScale.com. Cardinal Scale has grown its reputation in terms of the quality that they provide for the buyers, especially in helping the realize the advantages of on-board truck scales. You will have on-board truck scales and weighing systems that will fits you well thus making them that company that you can trust during your purchase when buying these products. The weigh-in-motion systems are often installed on these best freeways, thus helping you get a perfect deal when buying especially when acquiring them right during your purchase. They have improved their reputation as a company that sells such as large heavy duty mining trucks and conveyors for the buyers who may be interested in getting the best estimate of the given weights. You will get positive reviews of customers who have bought from them thus making them a company of choice for many buyers today. Avery Weigh Tronix is another company selling such as large heavy duty mining trucks, conveyors and others for the buyers who need the best quality during the process. You will definitely be certain that you would get on-board truck scales and weighing systems capable of accommodating more vehicles or even more trucks to obtain weighed in a quite shorter period. Most of the buyers are always satisfied by the quality when buying it even as they get those perfect deals in the market. You will be contented with the quality that the company will sell you thus making them among the leading branded companies to look for when buying. They are offer affordable prices on on-board truck scales and weighing systems. In conclusion, the above is a review of 3 leading suppliers of on-board truck scales and weighing systems to select from when buying from the given market. Whether you are mowing pastures or cutting thick brush for a building site, Bush Hog has that rotary cutter to meet your needs. Bush Hog rotary cutters are equipped with some of the most advanced features that make them the undisputed leader in the industry. Bush Hog has a wide collection of rotary cutters from which customers can choose from. Bush Hog rotary cutters are categorized into three series namely: Single Spindle, Multi-Spindle Rigid Decks, and the Flex Wing Series. These are rotary cutters that made Bush Hog a respectable name for farmers and ag products. From economy rotary cutters for small tractors to large, heavy duty mowers for shredding pastures and rows of crops, all of these Bush Hog rotary cutters made in America and the parts and components are designed to last. The decks are carefully designed to eliminate water traps and trash build ups. Full-swivel tail wheels allow for height adjustments while blade pans offer protection against all field hazards. All of Bush Hog’s single spindle series rotary cutters have wheels are laminated to last and endure even the toughest of conditions. They have an advanced sloped design that sheds debris and water to increase the deck’s life. The decks are also reinforced with steel strongbacks for more protection. The blades are built of heat treated alloy steel. Their gearboxes are among the highest rated in the world, and replacement Bush Hog rotary cutter parts are easy to find in these single spindle series. 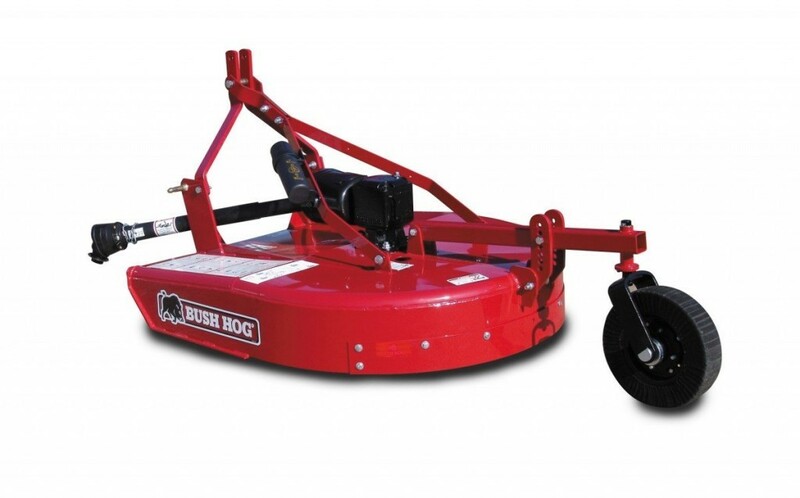 Bush Hog’s collection of multi spindle rigid decks includes models for mowing weeds, grass, and heavy brush. 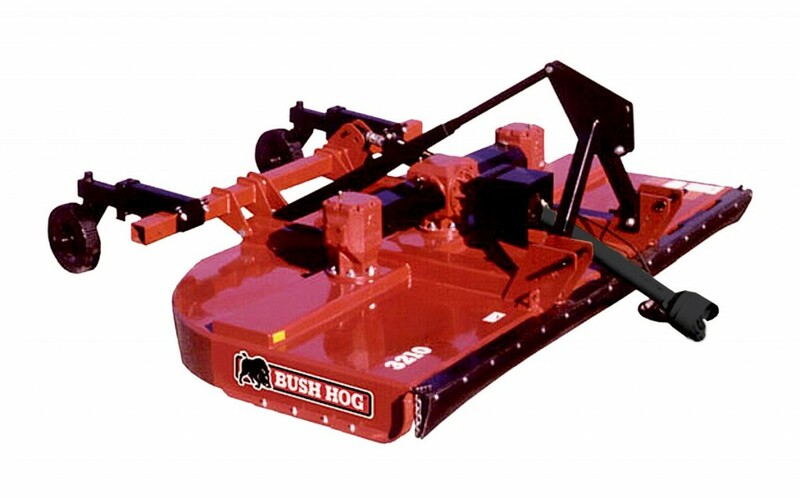 These Bush Hog rotary cutters are also ideal for clearing crops, cutting brush and pasture maintenance. The models in the multi-spindle rigid deck series have cutting widths ranging from 8 to 15 feets and has a wide range of mounting options. All these Bush Hog rotary cutters are designed for durability and will give superior productivity and performance with minimal maintenance. Rubber cushioned axles on the machines give total load protection when working in rough terrains. The Multi-Spindle Rigid Deck models are available in semi mount, pull or lift. Their blade high tip speed ensures an excellent cut on almost all materials. All are equipped with shock absorbing cross-shafts. Welded box type construction ensures rugged dependability. Blade spindles have lubricated roller bearings for long life. Gearbox are customized with forged gear that are heat treated for extra protection. These Bush Hog rotary cutters provide performance that you can always count on. Their cutting widths ranges from 10 to 20 feets with cutting heights of 2 to 4 inches. The Flex Wing Series of rotary cutters are known for their durability, performance and longevity. Their wings are designed in such a way that they float independently even on uneven terrain in order to achieve a uniform cut. 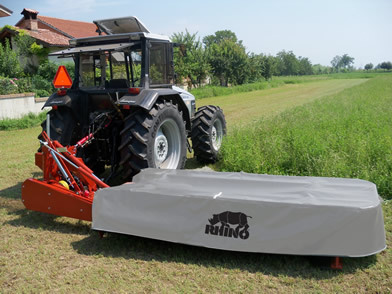 So when you are maintaining a rolling orchard or pasture, or clearing overgrown roadsides or heavy crops, the flex wing has that model that will fit in your tractor for that special need. All the models in this series are accompanied with a five year warranty. Their blade speed is super high that ensures a fast and timely cut. The gear boxes are all high quality and are equipped with spring suspension for better maneuverability. Safety tow chains on the these heavy duty Bush Hog mowers also provide extra strength. Blade holders and gear cases provide better performance and protect the cutters from all forms of hazards. In short, the flex wing series has the perfect models for heavy operations. For farmers, it is very important to have accurate and reliable ag scales and weighing systems for determining the exact weight of the harvested produce. The good news is that there are a lot of innovative ag scales and weighing technologies to choose from. One industry-leader in ag scales and weighing solutions for farmers and agricultural producers is AgWeigh. This company focuses its business model on producing and supplying advanced truck scales, weighing systems, and software solutions specifically for those in the ag industry. There are three different types of farm and ag scales from AgWeigh that are common among high-volume farmers. Each weighing system is known to be very dependable and durable for intense use throughout the harvest season. If you are looking for a weighing system that can deliver a convenient and cost effective solution for managing yields in various locations, you need to consider portable truck scales from AgWeigh. Also known as portable axle scales, these weighing systems are ideal for farmers and agricultural producers that require ultimate portability in their weighing operations. They are very accurate and efficient when it comes to weighing harvests and managing data. They can be easily and seamlessly integrated with Yield Pro software platform that is also offered by AgWeigh. This will enable you to factor-in moisture levels of your yields, keep track of crop weights, and manage various fields with greater ease and efficiency. In a nutshell, the following are the advantages that you will get by using these scales. AgWeigh also offers weigh-in-motion portable truck scales, which offer exceptional throughput and efficiency for high-volume farmers that deal with many loads. Below is a video that shows these in-motion portable truck scales from AgWeigh. You can also use grain dump scales from AgWeigh to effectively weigh and manage crops on your farm. Grain dump scales can deliver extreme operational efficiency during the harvest season for grain producers. They feature an innovative design that will provide you with an economic solution for managing farm production. Grain dump scales also feature a suspension design that offers exceptional protection to load cells. Debris will be kept out of the electronic components of the system to allow you to clean the truck scale with absolute ease. They are made from heavy duty steel that will provide many years of use with very little maintenance requirements. You will also find the steel deck design to be very convenient if you want to relocate the scales in future. The following are the advantages of the grain dump scales. Weighbridges are heavy duty weighing ag scales for large scale farmers. if you’re a small scale farmer, they will not be suitable since it will be pointless to spend a lot of money on scales as big as this for small scale purposes. 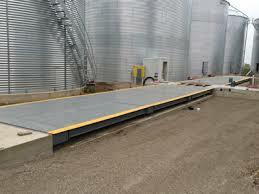 Weighbridge scales are built to handle huge quantities of farm yields in order to reduce labor time. You need to consider these truck scales if you are a large quantity farmer or commercial farmer. They will help you assess your productivity, valuate your harvest, calculate your crop load weights, and determine the overall success of your business. The following are the advantages of the weighbridge truck scales from Ag Weigh. Learn more about weighbridges by visiting the parent company of AgWeigh, Walz Scale. Food inspection, assessment, and sorting are some of the critical tasks in food and agriculture industries. The appropriate sorting machines are essential in ensuring success in all these applications. A superior sorting machine is not only important in grading food but also critical in ensuring food safety. Food safety goes together with food quality, and all ag producers strive to maintain optimal quality produce. Most manufacturers are highly vigilant about food safety, and this has resulted in implementing new systems and equipment to retain optimal quality and safety throughout the supply chain. Among them are sorting machines. There are various benefits of using superior quality sorting machines. Some of these benefits are; improved productivity, minimal chemical and energy usage, maximize yields by reducing wastages, and consistency in high food quality. There are various types of sorting machines used in food and agriculture industries. 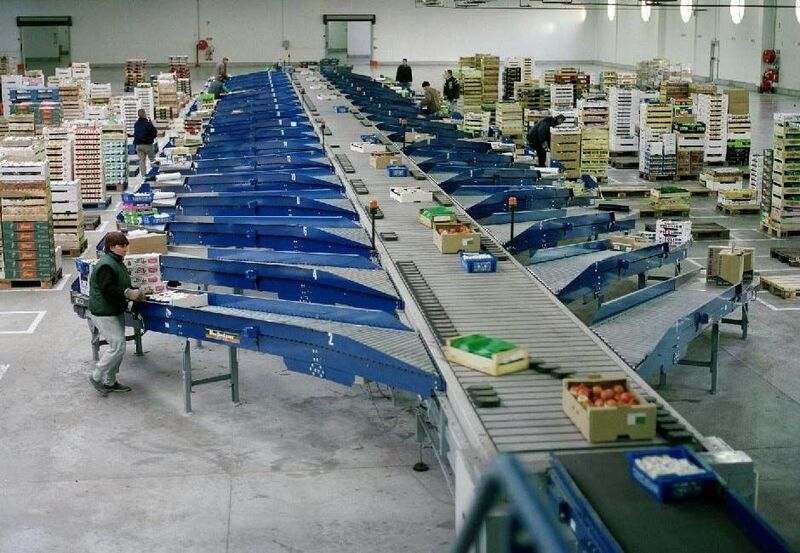 Below we highly three of the most advanced and highly sought food-grade sortation systems for such applications. This sorting machine is used to remove dust, shell, chaff and any other light impurities. The Helius™ Free-Fall Sorting Machine from Tomra is also used in removing blighted seed, insect-damaged seed, and grading screen, rotten seed, moldy seeds, non-viable and deteriorated seeds and much more. After removing all the large and small impurities, this sortation system separates the product to best, small and medium particles. The Helius™ Free-Fall Sorting Machine is equipped with a vertical sieve that comes with a cyclone duster. The advantage of this machine is that it is environmentally friendly since is does not allow large dust leakage. It can also be equipped with an elevator, belt and screw conveyor that makes it a flexible and convenient machine to use. It is an energy-saving machine. These sorting machines from Pugos Technologies comes with specialized features that make them fast, quality and accurate. Most of these sortation systems are pretty simple to use. Many use high-resolution line scan camera that aids in inspecting the grains to be sorted. This high detection property makes this machine an efficient sorting machine. 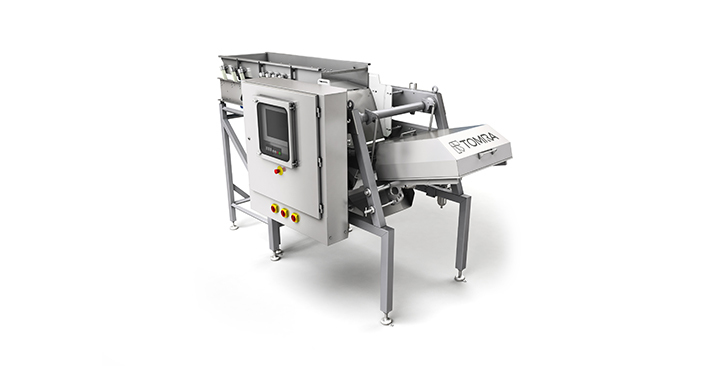 The Micro Series also possesses an unmatched computer-based sorting and can be used in sorting different types of food such as rice. 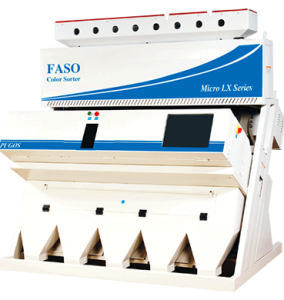 Some other notable features in the FASO Micro Series Sorting Machines include 2 ms ejectors that aid in maximizing production capacity. A high-performance FPGA and DSP makes these great sorting machines for grain producers. These machines can also be used to sort food color. The FASO Micro Series Sorting Machines are a trusted make that is commonly used in most food and agriculture industries. This sorting machine is popular in most biscuit and other food industries. It is a fully automated sorting machine that is very easy to operate, in fact, any worker can operate it without any training. It is fast and can pack 300 packets in a minute. It is a suitable machine that delivers quality performance. It is the ideal machine for any industry that wants to cut down labor. Kendy Food Sorting machine is made of stainless steel hence very durable and does not rust easily. KD-Z food sorting machine comes with a decent one year warranty from the manufacturer. It is a new model and is powered by electricity. It weighs only 80 kgs and is delivered when packed in a wooden case. It is used in sorting both the big and small packets. It is now more than five decades since the invention of the zero-turn mowers, and they have dominated the commercial and residential market for premium lawn mower equipment. With more than 30 brands to choose from, you will never be limited to choice when shopping for zero-turn lawn mower. But to pinpoint the best zero-turns on the market today, you have to know what to look for. Buying zero-turn mowers can be compared to buying a car because any car can move you from one place to another. Likewise, any lawn mower can cut grass but the quality of the finish, the speed of machine, and the level of comfort that you get when using it will vary. To make sure that you get the best zero-turn mower you should consider the following important things when shopping for one. Whether you intend to mow a small backyard or a couple of acres you should never compromise on your comfort when using the zero-turn mower. Consider things like the leg room, the seat and ease of getting on and off the mower. You should choose a mower with enough leg room and an adjustable seat so that you can be as comfortable as possible when using it. A good zero-turn mower will not come cheap and so it should be durable if you do not want to spend more money on a new one a few months down the line. The sturdiness of the deck construction and the frame are two things that will determine the durability of the mower. Also, consider other things like the gauge of the steel used and the protection surrounding the engine to get a good idea about the durability. When shopping for zero-turn mowers you can never overlook the brand as it is one of the most critical factors that define a good mower. Leading brands like Bush Hog and Land Pride are popular in the manufacture and distribution of these mowers because they produce top notch quality mowers. 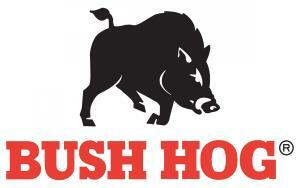 By choosing reputable brands like Bush Hog and Land Pride you can be guaranteed of buying a quality product. Additionally, it’s easy to find replacement parts for leading brands of zero-turns. 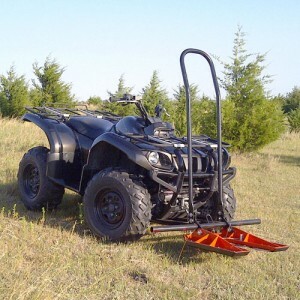 Using the latter example, it’s easier to find replacement Land Pride mower parts for zero-turns, as well as Bush Hog zero-turn parts over most other brands on the market. Besides from mowing your lawn the zero-turn mower can also be used for other purposes and so you should consider the attachments. 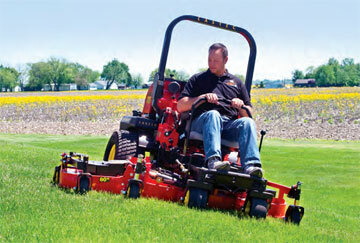 Lawn mowers can come with other attachment like aerator, sprayer, brush, dethatcher and many more. Consider the availability of these attachments if you intend to use the mower for other purposes other than mowing. Cheaper zero-turn mowers can come with a single cylinder engine, and so they will not provide you with a lot of power. 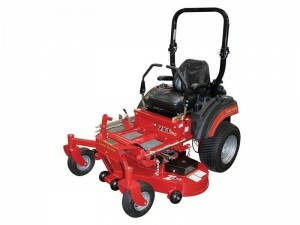 For more power, you should choose mowers with Twin-cylinder OHV engine. 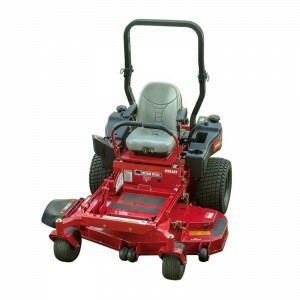 Besides from giving you more power these type of mowers run smoother with less vibration.